In case anyone has been wondering, a lot of our time is spent cooking outside on this crazy journey we call everyday life. 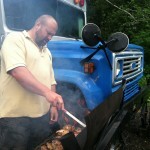 I love grilling and smoking on the contraption I built on the front of the bus, it has turned out some really good stuff. 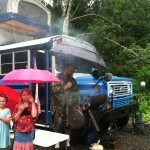 While along the Kilchis River, we did a lot of grilling. I am so dedicated to the craft that I even did it during the 2 week stretch where it rained the whole time. I just threw on my poncho because there was meat to cook. 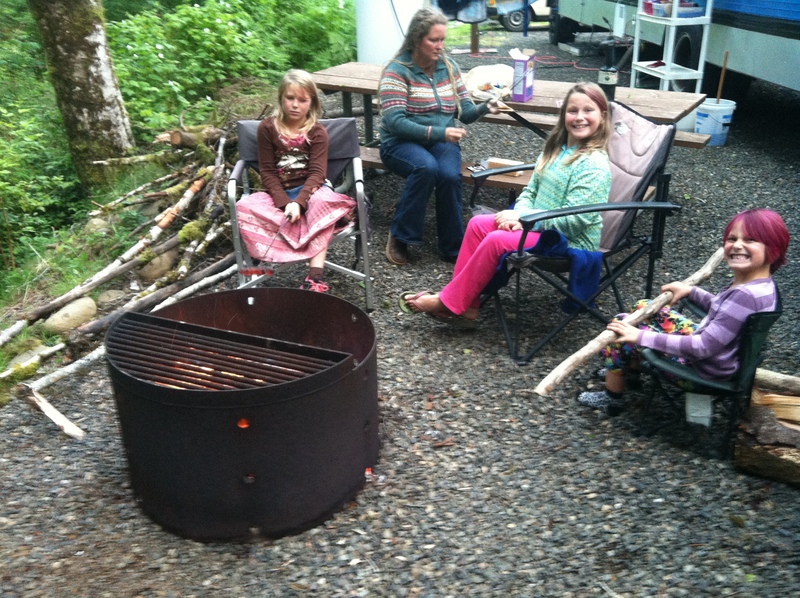 This entry was posted in Camp Cooking, Family Fun, Workamping on November 22, 2013 by Jody R. Scholl. I love that you travel with your family. I’ve been out of work for almost a year, but I’m hoping to start back soon. The sooner I start the sooner I can afford to head out on the road with my 2 daughters. Thanks for your posts!